British singer songwriter Nerina Pallot has been a busy bee of late – not only co-writing tracks on Kylie’s latest album ‘Aphrodite’ (‘Aphrodite’ and ‘Better Than Today’), but also working on her own forthcoming album called ‘Year Of The Wolf’. She’s also rumoured to have offered Kylie the lead single from her new LP – a song called ‘Put Your Hands Up’. Sadly, given Kylie already had a track called ‘Put Your Hands Up’ locked in for her LP, this track was passed up. But Kylie’s loss is indeed Nerina’s gain – it’s a sublime little pop song that has a toffee-sweet chorus that’s bound to get stuck between your teeth. Just perfect for radio, one listen and you wonder why she offered it up in the first place. No word yet on local release dates for Nerina’s new material. 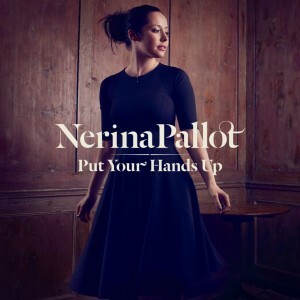 I love Nerina Pallot, she is incredibly under-rated. Thanks for posting!